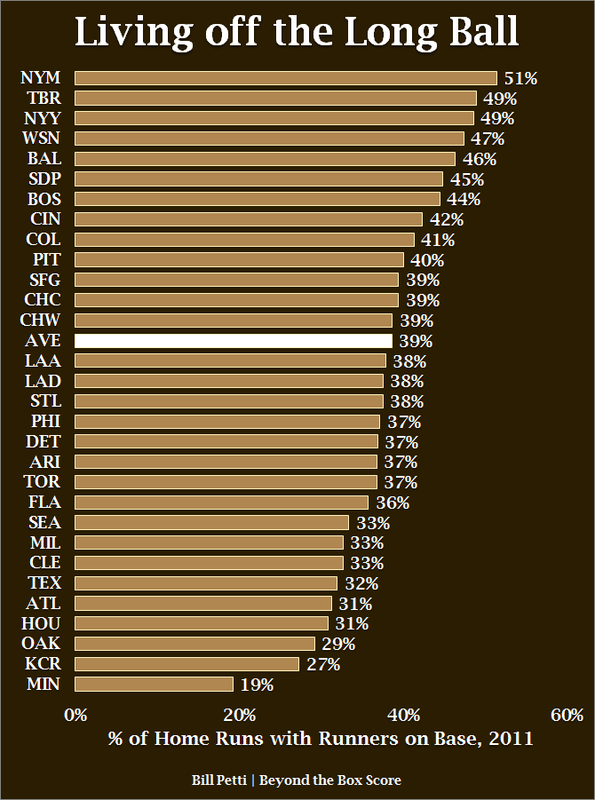 Fifty-two percent of the Yankees’ runs this year have come by way of the long ball, 14 percent more than any other team, according to the good guys at Beyond the Box Score. 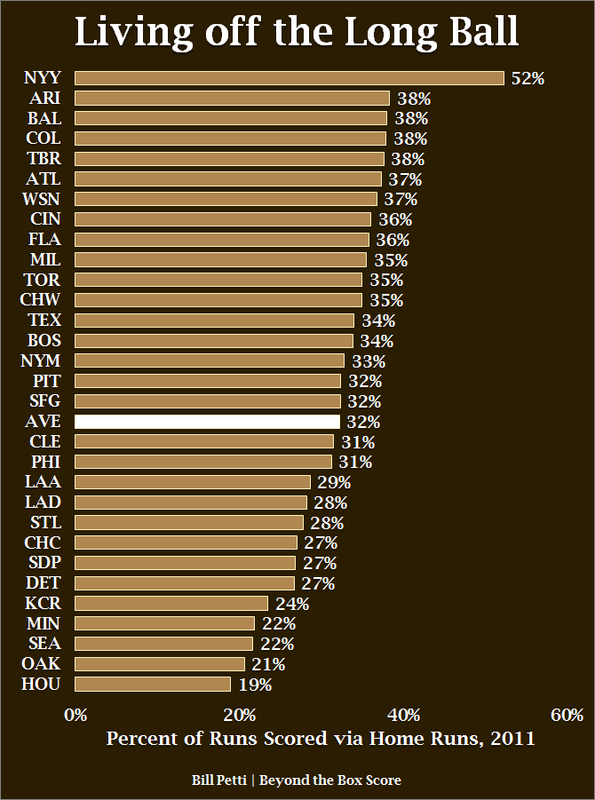 Home runs are the reason the Yankees have a share of the AL East lead, but more specifically because there are usually runners on base when the homers are hit. Check out the two charts for some telling information. Great stuff. Also, give Jack Curry’s story on Derek Jeter’s former coach a read. I must say, Curry, formerly a writer for The New York Times, is one of my favorite writers.